Hello, I can't come to the phone right now, BECAUSE I'M DEAD! 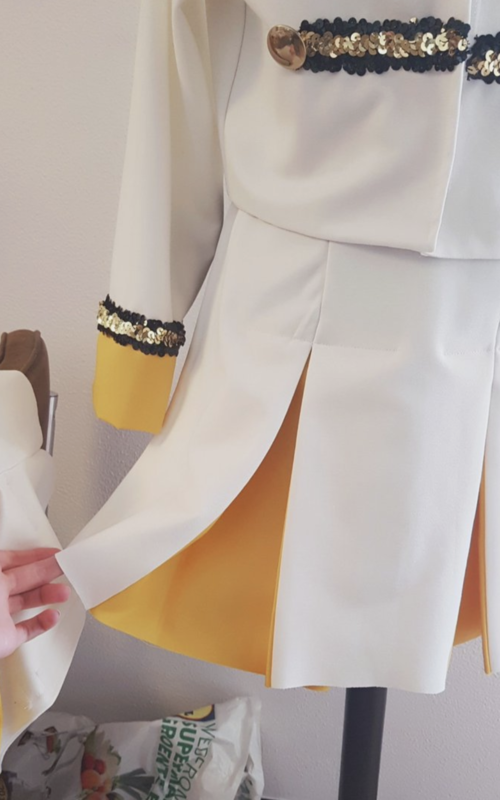 Lotte Lutjes, a 20-year-old from the Netherlands, is an incredible seamstress and Taylor Swift fan. Recently, she's been putting together outfits for when she attends Taylor's Reputation tour this month and boy, did she create something GORGEOUS! Lotte HANDMADE Taylor's band outfit from her Fearless tour, and when you rip it away, an outfit from the Reputation tour appears underneath! Lotte told BuzzFeed that the inspiration behind this outfit was based on the iconic lyric, "The old Taylor can't come to the phone right now / Why? Cause she's dead." She wanted to do something that encompassed both the old and new Taylor. 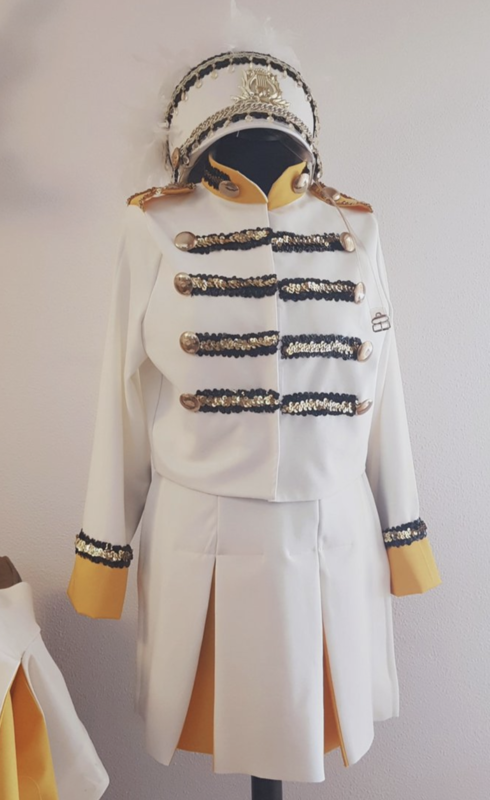 The white Fearless band outfit took about 30 hours to make from scratch. She said it was definitely the most complicated outfit she's made so far. She had to get it to tear away and the lining is made up of multiple different fabrics. Meanwhile, the black Reputation outfit was a lot easier. Lotte said she made it in one weekend and "got the fit straight away." Lotte started recreating Taylor's outfits in 2013 when she and her friends were going to the Red tour. She said, "I kept going after that because I enjoyed it so much." In fact, Lotte recreated an outfit from Taylor's "Look What You Made Me Do" music video and even got a comment from Taylor herself! Of course, Taylor fans know that at each of her shows Taylor chooses fans to meet her in the elusive Rep Room. While that possibility is on Lotte's mind, it's not the main reason she's re-creating these extraorindary masterpieces. Lotte said, "I don't dress up just for that though, I know there's a lot more deserving people out there. I just really love doing it." Amazing work, girl! You can follow Lotte on Instagram here and Twitter here and keep an eye out for more of her incredible Taylor recreations!